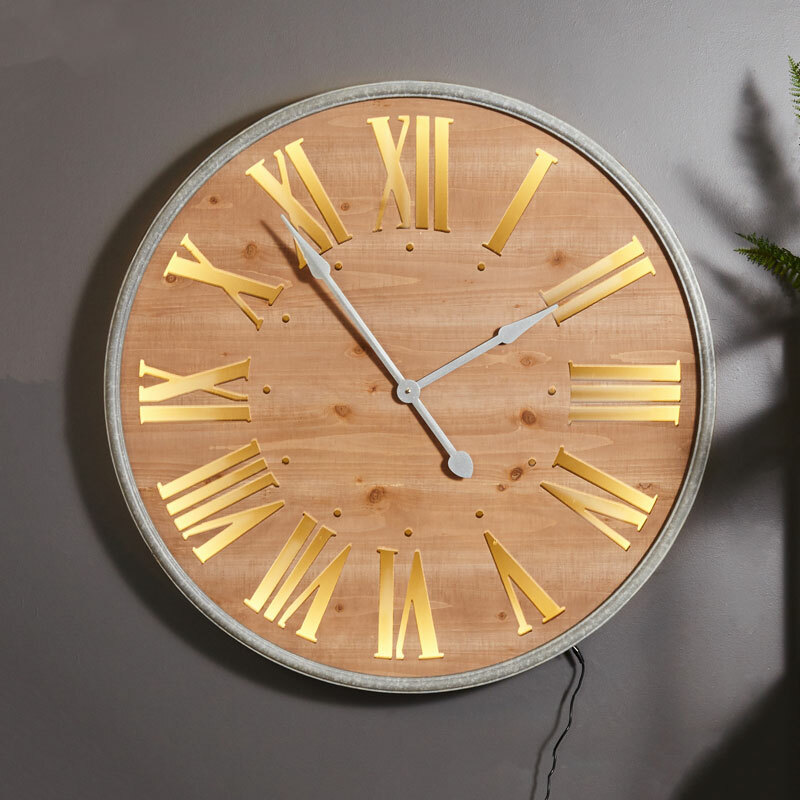 This Rustic wall mounted clock will ensure you never late! 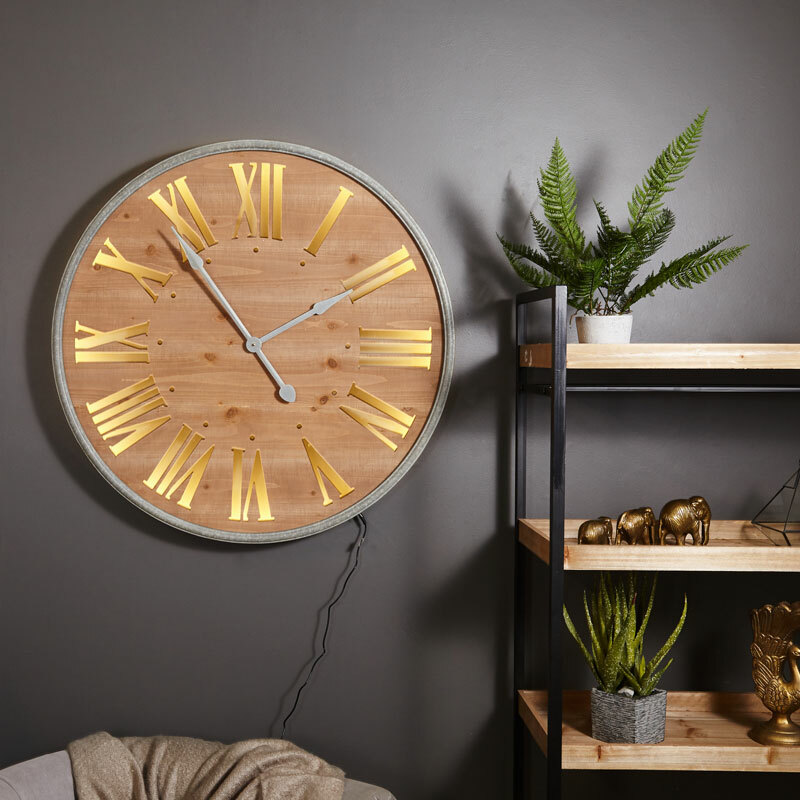 With its large Roman Numerals cut out from its wooden face that light up when switched on to brighten up your living room or hall way. The clock has an industrial look to it which will go hand in hand with any home interior, from rustic to contemporary and shabby chic to country vintage. This clock will be a talking point to make your friends and neighbours jealous. Your very own grande clock tower mounted on your wall with its warming ambient lighting. This Rustic wall mounted clock will ensure you never late! 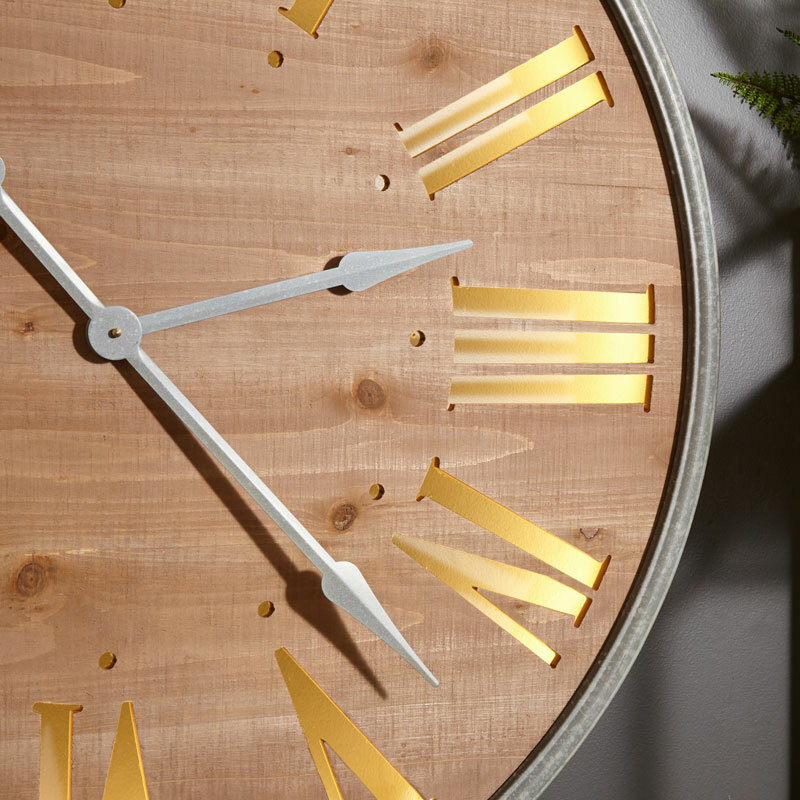 With its large Roman Numerals cut out from its wooden face that light up when switched on to brighten up your living room or hall way. The clock has an industrial look to it which will go hand in hand with any home interior, from rustic to contemporary and shabby chic to country vintage. This clock will be a talking point to make your friends and neighbours jealous. Your very own grande clock tower mounted on your wall with its warming ambient lighting.